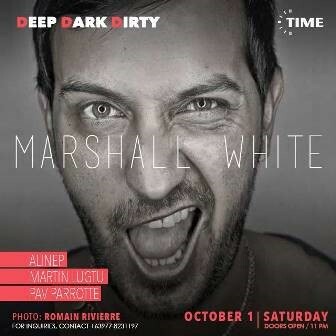 Why you should go: TIME is happy to announce that they will be joined by the one and only Marshall White, along with fellow Time Residents Alinep, Martin Lugtu and Pav Parrotte, at the next Deep Dark Dirty sesion on Saturday! An event definitely not to be missed! Other details: Doors open 11 p.m. For table reservations and inquiries, contact 0977-823-1197.